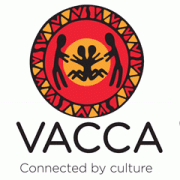 VACCA is committed to strengthening its capacity to support the ongoing professional development of its staff and respond to the growing requests to support the cultural competence of mainstream child and family welfare services to deliver culturally effective services to vulnerable Aboriginal children and families. Over the past five years VACCA’s reputation to develop and deliver culturally effective internal and external training programs has grown. The Training & Development Officer will play a key role in the ongoing development of our internal and external learning and development programs and advance the reputation of VACCA as the lead agency in the provision of Aboriginal child and family welfare services. It is expected that the Training & Development Officer will consult and work closely with other VACCA Program Managers, Team Leaders, program staff and other key internal and external stakeholders in undertaking their duties. The other key area of work for the Training & Development Officer will be facilitating cultural awareness and cultural competency programs with mainstream and Government agencies. This will involve forming strong partnerships with Government and CSO’s and ensuring quality delivery, development and evaluation of cultural awareness and cultural competence training. The Training & Development Officer will facilitate internal training and external training, prepare for training, prepare resources and develop training resources and packages so they will possess strong facilitation, writing and organisational skills. This position will work closely with other members of the Internal & External Training Team and will report directly to the Team Leader. An ability to work in a culturally respectful and competent manner with young people, their families and communities to ensure that cultural connections are fostered and maintained. Strong commitment to and a strong understanding of Aboriginal cultural values, family structures and community. Demonstrated understanding of historical and contemporary issues that affect Aboriginal and Torres Strait Islander people in Australian society. Demonstrated experience and ability to work with Aboriginal organisations and communities, and a proven ability to effectively communicate with Aboriginal people. Understanding of the child and family welfare sector, specifically involving working with Aboriginal children, families and communities. Ability to communicate in a clear, culturally appropriate and respectful way with a range of stakeholders including staff and external parties. Capacity to work and engage with a diverse range of people along a continuum of cultural awareness and cultural competency. Please quote in application: Aboriginal Training & Development Officer via Pro Bono Australia.